The presenter, performers and nominees for the Meteor Ireland Music Awards 2010 have been announced. This year's event, which will be hosted by television presenter Amanda Byram, will see a host of stars come together to celebrate the 10th anniversary of the awards. Acts due to perform at the event, which will be staged in the RDS in Dublin on Friday 19 February, include Snow Patrol, Westlife, The Script, Florence and the Machine, Paulo Nutini, The Coronas and Pixie Lott. Irish music fans will be able to vote in nine categories for the awards; Best Irish Band, Best Irish Male, Best Irish Female, Best Irish Pop Act, Best Irish Album, Best Irish Live Performance, Best National DJ, Best Regional DJ and Most Promising Artist for 2010. In the running for the Best Irish Band award are Bell X1, The Coronas, Delorentos, Snow Patrol and U2. The Best Irish Male nominees are Colin Devlin, Jerry Fish, Jack L, Christy Moore and Mundy. Up for the Best Irish Female award are Wallis Bird, Julie Feeney, Valerie Francis, Laura Izibor and Dolores O'Riordan. 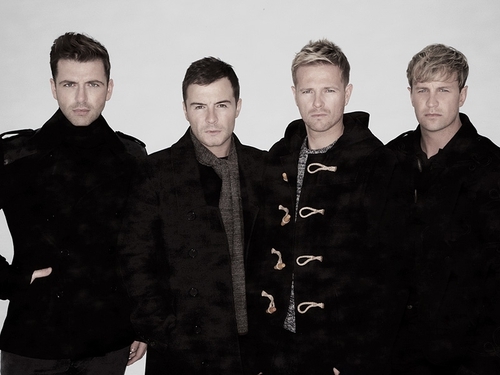 The nominees for Best Irish Pop Act are Delorentos, Laura Izibor, The Blizzards, The Script and Westlife. Nominated in the Best Irish Album category are 'Blue Lights on the Runway' by Bell X1, 'Tony Was An Ex-Con' by The Coronas, 'The Duckworth Lewis Method' by The Duckworth Lewis Method, 'Up To Now' by Snow Patrol and 'No Line On The Horizon' by U2. In contention for the Best International Band Award are Black Eyed Peas, Florence and the Machine, Green Day, Kasabian and Muse. The nominees for Best National Radio DJ are Damien Farrelly (2FM), Larry Gogan (2FM), Ian Dempsey (Today FM), Dan Hegarty (2FM), Ray Foley (Today FM) and Tony Fenton (Today FM). The Meteor Ireland Music Awards will be aired by RTÉ Two on Sunday 21 February. For a full list of the nominees click here. Tickets for the event, priced at €40, go on sale on Friday 8 January from usual Ticketmaster outlets.